Chaplain (Major General) Doug Carver, US Army, retired, is the Executive Director of Chaplaincy for the Southern Baptist Convention’s North American Mission Board. 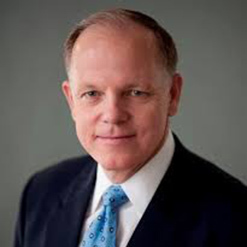 An advocate for the religious liberty of service members, veterans, and their families, he oversees the professional and pastoral support to 3800 Southern Baptist Chaplains who minister in various institutional settings in the United States and around the world. Prior to joining the North American Mission Board, he was the Army’s 22nd Chief of Chaplains (2007-2011), leading and serving over 2900 chaplains supporting the religious and pastoral needs of our 1.2 million soldiers and families. Chaplain Carver served at every level of the Army, from platoon to the Department of the Army Staff. At the beginning of the Iraq War in 2003, he served as the senior military chaplain in the combat theater of operations. He holds a Bachelor of Arts in religion from the University of Tennessee-Knoxville, a Master of Divinity degree from the Southern Baptist Theological Seminary, and a Master of Science in strategic studies from the United States Army War College in Carlisle, Pennsylvania. He also holds honorary doctoral degrees from Shorter University in Rome, Georgia and Southwest Baptist University in Bolivar, Missouri. In 2016 he was inducted into the University of Tennessee’s Inaugural Army ROTC Hall of Fame. An ordained Southern Baptist minister, Chaplain Carver has pastored churches in Colorado, Kentucky, North Carolina, and Virginia. A native of Rome, Georgia, he and his wife, Sunny, reside in Charlotte, North Carolina near their two daughters and four grandchildren. An ordained Southern Baptist minister, Chaplain Carver has pastored churches in Colorado, Kentucky, North Carolina, and Virginia. A native of Rome, Georgia, he and his wife, Sunny, currently reside in Charlotte, North Carolina.